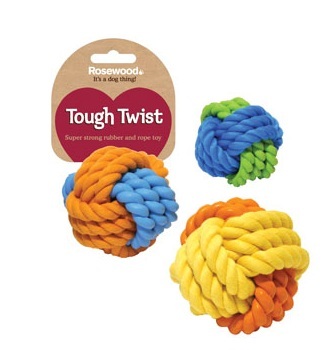 Rosewood Tough Twist Rubber & Rope Ball combine the two materials to make a super strong dog toy. Each toy comes in randomly allocated colours. There are currently no questions for Rosewood Tough Twist Rubber & Rope Ball Dog Toy - be the first to ask one!